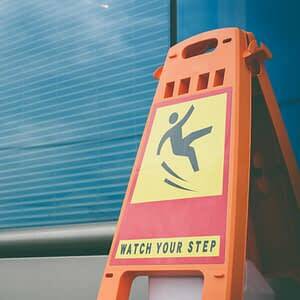 Slippery or broken stairs, ladders, steps and curbs are serious hazards that cause thousands of injuries each year. At Krivitsky, Springer & Feldman, our personal injury attorneys have more than 85 years of combined experience and have helped those who have suffered slip, trip and fall injuries recover maximum compensation for their medical expenses, lost wages, pain and suffering and other damages. Property owners have a legal obligation to keep their premises safe and may be liable if someone is injured on their property. In addition to the property owner, there may be contractors, subcontractors, maintenance companies or other individuals or entities that are partially responsible. Our knowledgeable and dedicated legal team and safety experts will investigate the incident and determine all possible sources of recovery to ensure you get the compensation you deserve. If you or a loved one falls on stairs, steps or a ladder, it’s vital to document the scene with photos. Take pictures of the specific condition that caused your fall, including close-ups, shots from the top looking down and from the bottom looking up. Other dangerous conditions such as damaged or missing handrails and broken light bulbs should be documented as well. In addition to taking photos of the scene, take plenty of pictures of your injuries so they are well documented. If you’ve been hurt or have lost a loved one in an accident on stairs, steps or ladders, our experienced and compassionate personal injury attorneys at Krivitsky, Springer & Feldman can help. Call us in Jersey City, NJ, at 201-798-2711 and in West Milford, NJ, at 973-874-0556, or contact us online for a free phone consultation. If you are unable to travel due to your injury, we offer home and hospital visits throughout Northern New Jersey. Se habla Español.